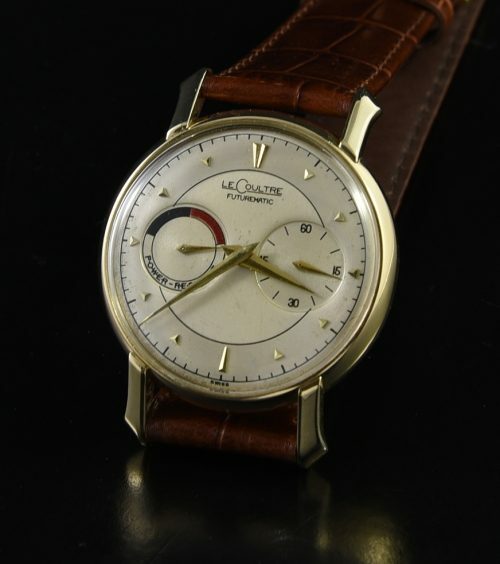 This is a vintage, 1950’s Jaeger LeCoultre Futurematic power reserve complication having the caliber 497 automatic winding movement which has been recently cleaned and is functioning perfectly. The 35mm. 10k. gold filled case is very fine and is uncommon to find in this condition-without wear-through. Notice the back wind and back set crown. You SLIDE the crown sideways to set the time. The original dial looks excellent, with oversize sub-registers, retaining the original gold markers, sword hands-only minor and usual ageing. 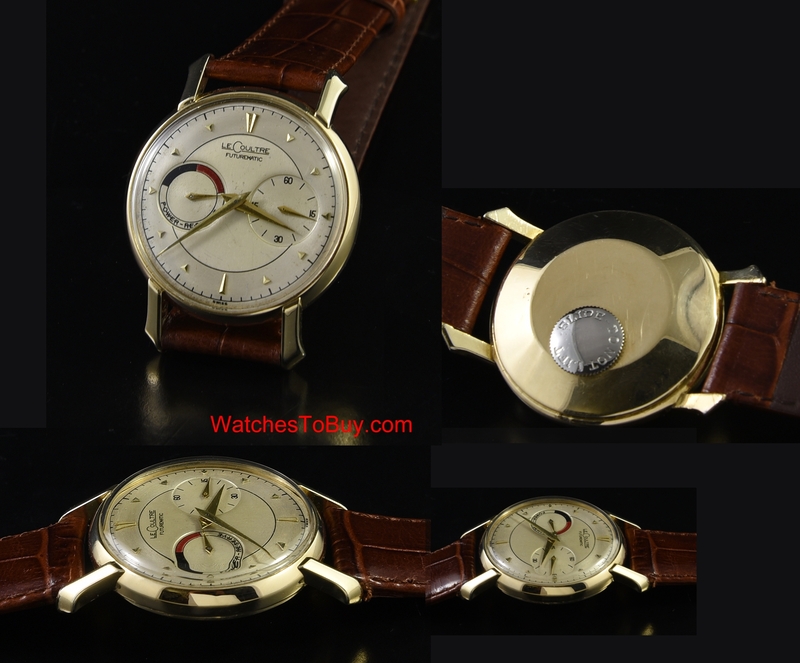 It is very uncommon to find these watches with original dials-making this a true collector’s piece. These watches indicate how much power reserve remains in the mainspring and indicate in hours the amount remaining on the left register. The eccentric lugs are quite elongated, adding to this Le Coultre visual appeal. Just $1495.